It is our mission to handle each sale with pride and integrity. From start to finish, our work is a reflection of our professionalism. Our personalized liquidation services begin with a no-cost consultation. We help determine your needs, discuss the full range of our services, and advise you on our role in helping you through the process. Before you spend weeks to months trying to figure out where everything should go, call us, we can save you countless hours, money and stress. We ensure that your estate sale, no matter how big or small, will be handled in a respectful and professional manner during the entire process. Our appraisers and sale staff are experienced, knowledgeable and discrete. Whether you are handling an estate, downsizing, or moving, we are here to support you. If you are in the Denver area, contact us for a free consultation. We are dedicated to providing our clients with a level of service that is unmatched. We recognize that many clients are not familiar with the different options available when liquidating personal property, so here we offer a quick overview of options including those we offer. It is important to us that you understand your options in order to make the choice that is best for your situation. Full-service estate sales for a variety of situations. See a complete outline of our services below. Sometimes deciding what to keep, or who keeps what depends on value. Occasionally we are asked to facilitate this process. Don’t know where to start? If you need a hand getting ready for us, we can help you get there. FULL houses or very large estates may also require extra hours in sale preparation. We offer clean out services following our estate sale. Note that we have had clients that were sure of which service they needed who had been told by other cleanout services (junk haul away, hoarder clearing) that they would have to pay thousands to clean out a house. Instead, we made them thousands and covered the cost of cleaning out the home with sales. To us, that is a win-win. We always discuss anticipated clean out fees before signing a contract with you. Consignments– If you only have a handful of items to sell, we usually recommend that you research antique dealers, furniture consignment shops or art dealers in the area. Do your homework and choose someone you feel you can trust. Alternately you can sell items yourself on Nextdoor, Craigslist, etc. if you know how much you want for an item and are willing to manage strangers coming to the house. Realize that asking the person who might consign or buy your item for its value puts you at risk of being taken advantage of. If you are unsure of value, there are many online resources available, or you may need to hire an independent appraiser. Off-site auctions– If it is not possible to hold an estate sale on-site for logistic or personal reasons, sometimes an off-site sale held at an auction house is the only option. This is more common with storage units, apartments, and gated communities. Keep in mind that sending items to another location will incur some significant moving expenses in addition to commission percentages similar to estate sales. If you are unsure if you should send items to auction or do a sale on-site, call us and we can help you. Sometimes we have creative ways to work with logistical obstacles (ex. appointment only sales). Online auctions– While we could charge you to photograph and list every single thing in a home, we do not believe that the cost of performing an online auction is beneficial to the client unless the estate only contains very specific items that sell better online. Buyouts– This is often the last option that we would recommend, but it is appropriate in some circumstances. A buyout occurs when someone comes and offers a set amount for what you have. This may or may not include a full cleanout, depending on your situation. It will tend to be the lowest return because the buyer is taking all of the risk and having to move everything. It is also fast. One word of caution in a buyout is to make sure you are clear on what they are taking. We have heard of buyers taking a “first load” with all of the most valuable items, then leaving the client with the rest to deal with, which is certainly less than ideal for the client. We hope this helps you understand your options. We are often called after a family has spent countless hours working through what to keep and what to do with the rest and wish we could have helped you sooner (before you filled a dumpster and took 30 trips to drop off bags of donation and just can’t do this one more day). We do not expect the house to be perfect or ready. We know this is hard and sometimes overwhelming or embarrassing. It is our job to help get you back to having more time and less stress in your life. It’s what we are here for, so give us a call. We often book sales 4-8 weeks out, so we recommend calling for a consultation as soon as possible. Just select the items you and/or family members plan to keep. Smaller items should be removed from the house or the sale area, and larger items can remain in the house with “Not For Sale” signs. The adage “one man’s trash is another man’s treasure” is the rule here. We really do sell everything from cars to paper clips. 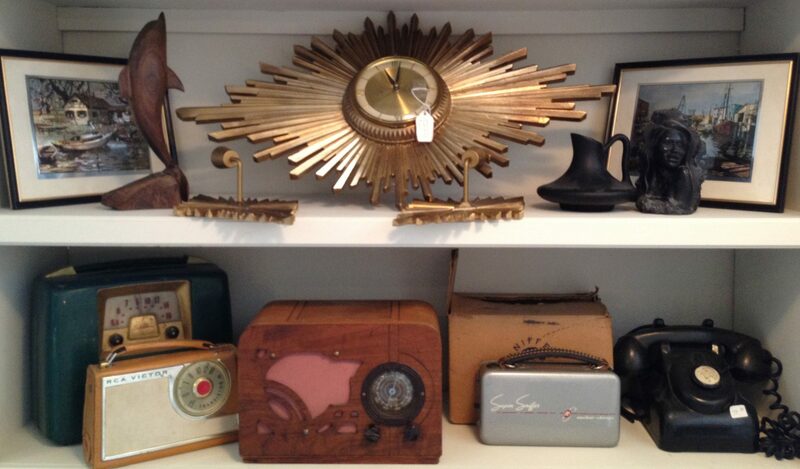 Determining what to keep is a job for an experienced estate sale specialist. Our clients often want to help by cleaning out cabinets, donating items that don’t appear valuable and getting rid of junk. Everybody knows not to toss the silver and china; but old postcards, campaign buttons, toys, clothes and all of those little household items add up to make a really great sale! Our buyers love finding hidden treasures, so we are happy to help give guidance on how to separate the “trash” from the “treasures”. We also completely understand the emotional and financial benefits to donating items, and support that. If you are simply donating what you think won’t sell, we do ask that you wait though. If it will sell at a thrift shop, it will sell at an estate sale. Open food, home canned food, frozen food. We can help get non-perishable food to places that will take it though. Vintage alcohol bottles can also be valuable. Open toiletries and cosmetics (unopened are fine). Prescription medication should be taken to a prescription drop off site. Undergarments (unless they are new, designer or collectible vintage). We often donate socks, gloves etc. to homeless shelters. VCR tapes and any copied cassette tapes or disks. We do not dispose of chemicals, paints, or hazardous materials for free. Sometimes these items sell, especially cleaning products, and some garage liquids, so it may not be necessary to dispose of them prior to the sale, but will require proper disposal post-sale if remaining. If you are not in a position to remove these items, we can assist you. We are professional, discreet and can accommodate most requests. Usually, the process starts with a phone call, but you are welcome to text or email us as well. What we need to know includes a general overview of contents, what your timeframe is, and where the property is generally located (we work predominately in the Denver metro area at this time). Often we can figure out if an estate sale is a good option over the phone. A common question that we are asked is whether you need to have antiques and high-end items for us to be interested in helping you. We sure love it if you do, but we have had great sales featuring mainly contemporary items, collectibles, or just a lot of STUFF. After a brief phone consultation, we will usually meet with you at the estate to go over the contents, schedule, and answer any questions that you have. At this time we discuss your specific goals and expectations, as each situation is unique. Some clients want top dollar for their items, even if that means only selling a portion of the estate. Sometimes the goal is to empty the house as quickly as possible, with profit being secondary. We frequently work with estate executors who have a fiduciary duty to maximize the financial value of an estate, must clear out the home, and handle the estate in a timely manner. Once we have determined your goals and our workload, we will discuss our schedule, commission and may sign a contract on site. The next step in preparing an estate sale is determining exactly what we have to sell. This can be a messy process, but a rewarding one. Everything has to be pulled out of cabinets, drawers, closets, garages, and sheds. This involves hours of physical labor that are the key to an organized, quality estate sale. We organize and stage to maximize sales without wasting valuable time. Similar items are grouped and displayed. Things that are broken, stained, badly cracked or chipped are separated out. In some cases a dumpster and extensive clean up are required before a sale, and those costs will be discussed beforehand. We work hard to recycle and find new homes for as much as possible, but not everything can be saved. Antique furniture: generally anything 100 years or older. Collectibles: Fine art, sculptures, paintings, figurines, silver, etc. Used furniture: This covers everything from fine contemporary furniture to anything that isn’t antique. Mid Century Modern is still our biggest seller (that’s the look from about 1945-1965). Ceramics & Glassware: porcelain, fine china, pottery, crystal, depression glass, etc. Clothes, shoes, purses, furs: Clothing can be a big draw if it is designer, vintage or new. Vintage is now going into the 80s, so hang on to those puffy coats and neon for us. Jewelry: Fine jewelry and watches are great, and collectible costume jewelry is always a favorite. Toys: Vintage toys and dolls and games can be very collectible. Housewares: kitchen items, knick knacks, decorative items, lamps, pictures, books, records, plates, small appliances – You get the picture. These items may lack the allure of antique treasures, but the sheer volume makes them hard to ignore. Due to the everyday needs covered in this category, the proceeds from the sale of housewares can equal or exceed the furniture revenue! Electronics: Record players always sell quickly, and that old 70’s stereo equipment can be worth more than you think. We can help you with wiping data from newer computers also (fee). Tools: Tools are very popular at estate sales, and yes, we know how to price them. Cars, boats, trailers: For auto appraisals, we consult the online Blue Book (NADA & Kelley) and may request a Carfax Report. Clear title and a notarized bill of sale are required. (death certificate and POA are also needed for deceased owners). Guns: These are handled outside of the actual estate sale and through appropriate channels to protect you and the buyer. Estate sale staging is the key to a successful sale. Professional showcasing will exhibit the home contents to provide the best exposure and maintain traffic flow. We often use the spaces in a home to showcase the contents, but may provide tables when needed. Fine jewelry and small expensive things will be displayed in cases or in constant view. We rearrange furniture, hang pictures, and place decorative items so they receive prime exposure. We create a smooth flow for customer traffic through the house. There is usually just one door that will be used to enter and exit. Once the showcasing is complete, it is time for final pricing. Once we’ve made the house sale ready, we determine values and work on pricing. Appraisal and pricing is much more than just making up a number. Having a professional perform a proper estate appraisal is vital for a successful sale. Our knowledge of the “book value” of your personal property and how to price items to sell in the Denver market is based on years of experience in combination with access to reference guides and services. This makes the difference between a professionally priced sale and an amateur one. Careful pricing avoids confusion, and it goes a long way toward cultivating a base of loyal customers. We may print out information for specialty pieces, put tags and stickers on items, and post price lists and purchase information for items like books, cds, and some clothing. By now we have a very good idea of what is in the home and what it is worth, so anything without a tag can easily be priced at checkout. We do not price every single item, if it is under $2, it will often be left untagged. Once the items are priced, we are ready to advertise our fabulous sale! Estate sale advertising has to be well conceived and extensive. It is an essential component of an estate sale service. Thorough and careful staging, pricing and advertising will almost guarantee a successful sale. Thousands of people view our sale listings and Silversun Estate Sales has an advertising plan designed to bring motivated customers to each estate sale. Before each estate sale we prepare a comprehensive listing of the items for sale. We photograph the contents. This information is posted on our website. We also post this information on various estate sale websites and in classified listings. The sale location and time are given, along with careful directions to the house. We may also distribute flyers to interested antique shops, antique malls and flea markets. Estate sales are a primary buying source for local antiques dealers and decorators, so they are an important target for advertising. They are often reached by personal contact, in addition to the methods explained above. We also maintain a list of eager collectors looking for specific items such as clocks, records, postcards, paintings, etc. We email the sale information to our list of hundreds of customers. We have compiled this email list from years of sales. Therefore, the people we email have requested to be notified. No spam! Within 24 hours of sale day, we place signs on streets near the sale and at busy intersections in the area. We have large, easy to read signs, an important component of directing traffic our way! Days to weeks of work have led up to Estate Sale day. All of the planning, appraisal, pricing, showcasing and advertising are what will make this day a rousing success. The house will look amazing and everything for sale will be displayed to its best advantage. Normally, our estate sale are held on a Friday and Saturday, beginning between 9-10 a.m.* Before the sale begins we make sure all signs are posted, lights are on, off-limits areas are clearly marked and/or locked, and any outdoor items that were secured overnight are brought out. *We sometimes offer our email customer base and dealers a special one hour preview sale on Thursday. To join this list, contact us with your name and email and any special areas of interest that you have. When the sale begins, the doors will be opened and the dash for treasures ensues. The sale can be a bit of a madhouse for several hours but we work hard and keep things moving smoothly. We divide the home into manageable areas, with extra attention to the entrance/exit points and the higher value items. We are constantly on the move within each area, talking to customers, and rearranging items as things sell. After an often hectic, and (hopefully) profitable day of selling, we close up around 2 p.m. We return the next morning and do it all again. On the second day of the sale, prices will be reduced and the serious bargaining begins. By 2 p.m. we have sold many, many items from the estate. Occasionally, with client’s permission, we are able to sell the remainder as one lot, and the estate will be fully liquidated. When the estate sale ends, we promptly remove all of our supplies, signs, and fixtures. Every home has unsold items at the end of the sale. What happens to those items is discussed ahead of time, and we handle the remaining items according to each client’s needs and wishes. If the client wishes to handle the remaining items themselves, we will leave all unsold items in the home as they were at the end of the sale. We offer fee based haul away services for clients who prefer to have us clear out the home after the sale. Our final job is to provide an accounting of the sale proceeds. Within a week following the sale, the client will receive a printed statement of the gross sales and commission paid to Silversun Estate Sales. We keep all proceeds after the sale and until everything has cleared the bank. Then our fees and expenses are deducted and the balance of the proceeds are paid to the designated recipient of the estate, usually within 14 days of the estate sale. In many cases, the house where the estate sale is being held will be for sale. We are happy to work with the homeowner’s realtor. (If you are in need of a realtor, we can also recommend some great ones.) Estate sale day brings in hundreds of people and this provides a good opportunity to advertise the home. We can display the realtor’s flyers in the house during the estate sale and pass along the realtor’s contact information. This is done solely as a courtesy to our client, as we are not involved in the sale of the house. We post sale information and other important information on estatesales.net. Why choose us? We are professional organizers and estate liquidators, dedicated to providing our clients with exceptional estate sale services. We understand that this is often a stressful time for people, and that compassion and discretion are required. We are knowledgeable and dedicated to providing excellent service from start to finish. We feel strongly that what is best for our client is best for us, and that communication and honesty are essential to this process. We are backed by generations of Denver families. We are familiar with the Denver area market and current values. Our goal is to liquidate contents in a manner that best serves our clients. We are proud of the level of service that we provide. Our passion for detail and organization are reflected in the staging and showcasing at each estate sale. We spend time preparing and staging each sale to maximize exposure and profit for you. During sales we constantly re-stage to maintain the aesthetic of the sale. Our professional and friendly demeanor results in great sales. We have many repeat customers and satisfied clients. Our business is almost entirely referrals, and we stay busy! Check out our media links to see what clients and customers think about us. We can be reached by phone or text at 303-910-9095.